Her’s another one for the ‘reasons we don’t deserve dogs’ file. 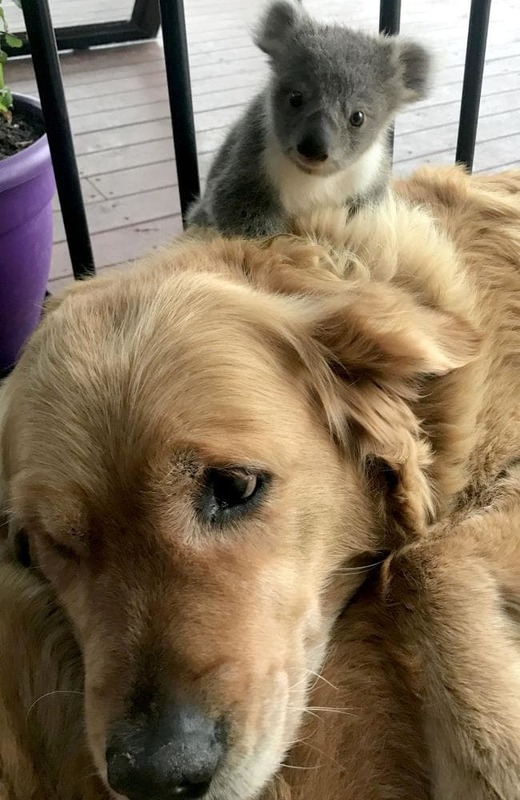 In this recent news story coming out of Australia, a golden retriever has been hailed a hero after saving the life of an abandoned koala. The brave goldie, a female named Asha, was hailed a hero after saving an abandoned baby koala’s life by letting it snuggle in her fur. 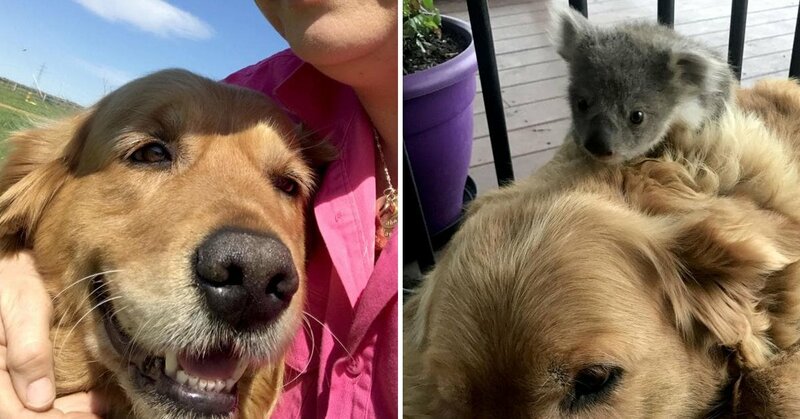 Her proud owner, 45 year-old Kerry McKinnon, got the shock of her life when she discovered the tiny koala snuggled up with her five-year-old golden retriever Asha earlier this week. The 45-year-old from Strathdownie in western Victoria said the koala likely became separated from its mother during the night and wandered onto her back porch, finding comfort in Asha’s warm fur. With temperatures in the area plummeting to 5C in the early hours (that’s cold for Australia), Kerry said that the helpless koala probably “never would have made it through the night” if it hadn’t been cuddled up to Asha. 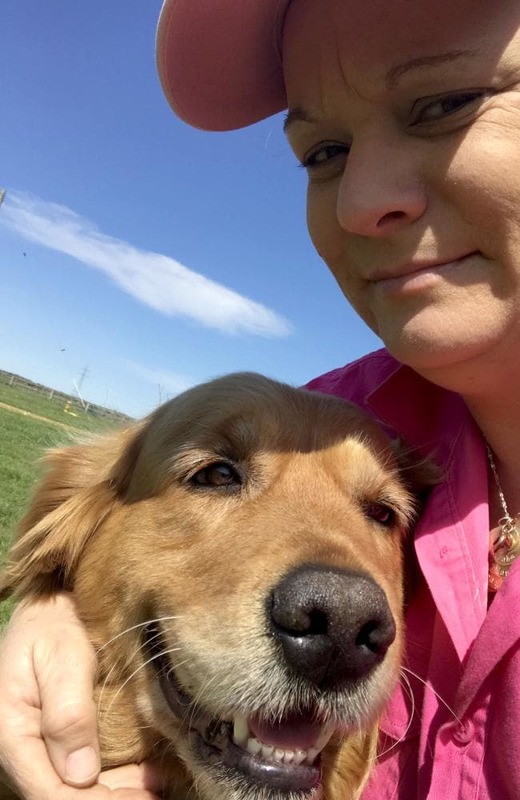 As you might expect from these adorable photos, the golden retriever’s act of compassion has since gone viral on social media, with the adorable photos of the unlikely pair racking up hundreds of likes and shares online. Kerry found the whole situation a little overwhelming. Dogs can be so funny when they don’t know what’s going on! While nobody knows exactly how the koala ended up with Asha, it’s likely, judging by its size, that it was suddenly separated from its mother. I guess it was lucky that the dogs were there, and that they were friendly towards the little babe! Kerry said it “wasn’t easy” trying to separate the two — with the koala putting up a “huge fuss” when she tried to remove it from Asha’s back. He obviously thought he’d found a new mama. 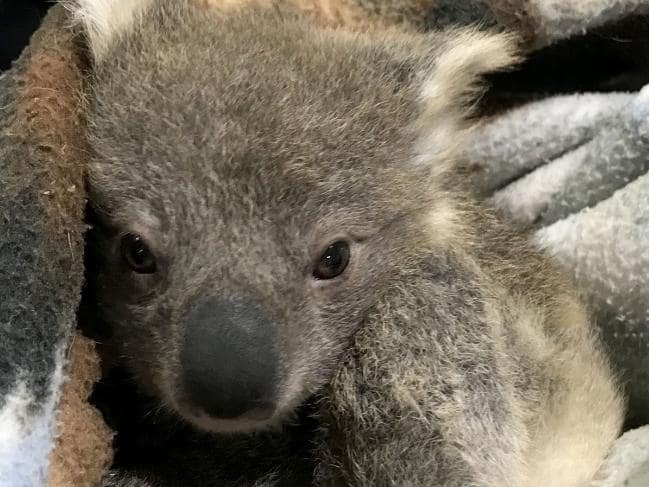 In a pleasing conclusion to the story, she said the little joey is doing well after being checked out by a vet — he is now being looked after by a local koala carer until it can be released back into the wild. Kerry said: “I think dogs have that protective instinct. The koala didn’t want to leave Asha’s back. You can say that again, old mate!